The animals should be applied in adequate numbers to the general area of maximal congestion. The head (or biting end) of the animal can be recognised by its searching movements, while the tail end is used mostly as a sucker for fixation. It is best to use the hungriest (normally the smallest) leeches first. Preferably do not use forceps forcibly on the leech. 1. Clean patient's skin thoroughly with soap and water to remove all substances with strong odour or taste such as traces of operative prep fluids or saline. Rinse cleaned areas with plain water. 3. Steer the head of the leech to the hole in the gauze. Attachment generally occurs quickly. However, if the leech is reluctant to bite, make a small needle prick on the skin to produce a tiny droplet of blood (which should result in enthusiastic attachment). 4. Once the leech is attached, it will likely remain safely in place until fully distended. The gauze square can be removed and used elsewhere without disturbing the animal. However, it is important that the site be checked continuously to ensure the leech hasn't moved. 5. 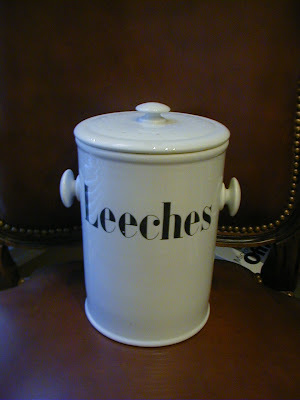 Leeches usually stay attached at a truly congested site for 30 to 60 minutes. If the blood supply is poor (in which case the diagnosis of venous congestion is probably wrong), they may detach prematurely and attempt to wander to another site, for example, normal skin. Leech movement can be prevented by simple physical persuasion, but the best way to avoid wandering is to pre-cut holes in a sheet of "Op-Site" dressing and apply this to the treatment area.